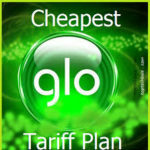 This GLO Mobile recharge and get double of your recharge plan is similar to Glo Bumpa tariff that offers you 200% on every recharge from N100 and above. However, there are some slight differences between the both of them with this double plan having more benefits attached to it, like free weekly data and additional airtime bonus to call family and friends. Although, you only get 200% when you recharge from N200 and above, your N100 recharge just gives you 100% bonus, so if you want to enjoy the full benefits of this plan it is preferable you recharge from 200 above. Bonus Airtime: You’re given N100 (100%) bonus airtime to call, send SMS and for PayG data. 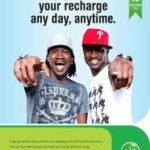 Data Bonus: You get 5mb free data given to you once in every 7 days that you recharge N100. Bonus Airtime: You’re given N500 (200%) bonus airtime to call, send SMS and for PayG data. 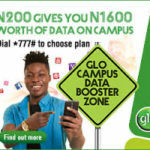 Data Bonus: You get 15mb free data given to you once in every 7 days that you recharge N200. Friends and Family Bonus Airtime: Asides from the N400 Bonus airtime you’ve been given, you also get N200 to call family and friends number that you registered. 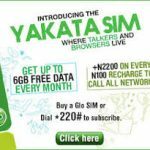 Bonus Airtime: You’re given N1,000 (200%) bonus airtime to call, send SMS and for PayG data. 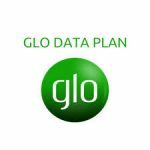 Data Bonus: You get 15mb free data given to you once in every 7 days that you recharge N500. Friends and Family Bonus Airtime: Asides from the N1,000 Bonus airtime you’ve been given, you also get N200 to call family and friends number that you registered. Bonus Airtime: You’re given N2,000 (200%) bonus airtime to call, send SMS and for PayG data. 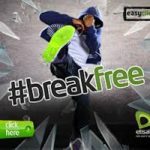 Data Bonus: You get 15mb free data given to you once in every 7 days that you recharge N1,000. And so on for recharges from N200 and above. It is quite simple, simply dial *200#. * The Bonus credit expires after 7 days. So if you don’t finish your bonus credit before it expires, you would not have access to it again, unless you recharge. * You can accumulate your bonus credits, however you can’t accumulate the validity period for the bonus credits, once the 1st one you load expires, it’d be deducted from your accumulated credit. When you load a recharge card on your line, every phone call, SMS you send would be deducted from your 200%(for N200 and above) or 100%(for N100 recharge) bonus account and not your main account. It is when you must have exhausted your bonus or it expires, that you’ll be charged on your main account. Subscription for data, ring back tunes and other additional subscriptions are charged from your main account, leaving the bonus account for you to make calls and send text messages. Let’s say you load a N1,000 recharge card and you wish to subscribe for a data plan or any other subscription. You’ll be charged from your main balance and not the bonus account, you’ll be able to use the bonus recharge to make phone calls, send SMS and for PayG Data until your bonus credit expires after 7 days, before you’ll be charged from your main account. Glo to other networks SMS: N4/SMS. For your bonus data bundle balance enquiry: simply dial *127*0#. And for your 200% Bonus balance enquiry: simply dial #122#. What You Need To Know To Use Your Family and Friends (FnF) Bonus. To register a FnF, dial *101*1*Mobile No of desired FnF# e.g *101*1*08050002000#. To delete or deregister a number from your FnF list. You can deregister/delete an FnF number by dialing *101*3*Mobile No#. NB: First time registration of the 1st 10 FnF numbers is FREE. Deregistration/deletion and modification of exiting FnF attracts N50 per change. You can only register a maximum of 10 numbers to your FnF list. If you want to opt out of this plan back to your formal tariff plan, simply dial *201#. Once you opt out, you’ll be reverted back to your normal plan and you can’t opt in again. If you’re on Glo Bumpa plan, you can’t migrate to this plan because they’re almost similar.